OUR DAUGHTERS, by Commands. 4 wins at 2000m in Aust. This is her third living foal. Dam of one foal to race. Our Daughters. 4 wins. See above. Black Tsunami. 2 wins at 2000m, 2100m in Aust. Sugar Oog. 2 wins at 1300m, 1400m in Aust. PURSUITS (Quest for Fame). 6 wins from 1400m to 2000m, A$272,565, Gosford Guineas, L, AJC Experience It H., WF Gordon H., Sadlier H., STC Dr Grace H., 3d VRC Emirates S., Gr.1, STC Rosehill Guineas, Gr.1, AJC Show County H., L, Newcastle JC Cameron H., L, ACT RC Canberra Cup, L, 4th STC Canterbury Guineas, Gr.1, Neville Sellwood S., L.
LE ROMAIN (Hard Spun). 7 wins from 1000m to 1600m, A$3,889,575, to 2018-19, ATC Randwick Guineas, Gr.1, Canterbury S., Gr.1, VRC Cantala S., Gr.1, ATC Show County H., Gr.3, Southern Cross S., Gr.3, Schweppes Quality H., 2d VRC Cantala S., Gr.1, ATC George Ryder S., Gr.1, All Aged S., Gr.1-twice, George Main S., Gr.1, BRC Kingsford-Smith Cup, Gr.1, ATC Hobartville S., Gr.2, Missile S., Gr.2, NSW Tatt's RC Tramway S., Gr.2, ATC Eskimo Prince S., Gr.3, Show County H., Gr.3, Newcastle JC Cameron H., Gr.3, ATC Ranvet H., 3d BRC Doomben Ten Thousand S., Gr.1, 4th ATC TJ Smith S., Gr.1. Lisle (Marauding). 2 wins at 2, AJC Dark Sky 2YO H., Malaya 2YO H., 2d STC Tramore 2YO H., Sovereign Slipper H., 3d QTC Sir Douglas Wadley H., L, STC Hotels Dollar for Kids Day P.H. Violent. 7 wins to 1400m, A$84,320, AJC Baltic H., Empyrean H., SAJC Alcohol Go-easy H., 2d SAJC Peter Hayes H., 3d STC Mill Reef H., Jindabyne H., Russell Lea H., SAJC Ulvapron H.
Chaparejos. 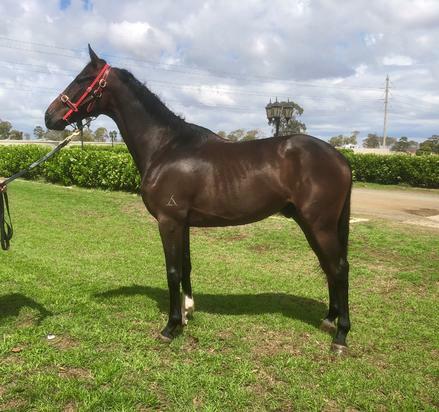 Winner at 2, AJC Liverpool Festival 2YO H., 2d AJC National Telecoms Group 2YO H., STC Matador Bullbars 2YO H., 3d STC 50% Off Membership 2YO H.
REGULATIONS (Bureaucracy). 11 wins-2 at 2-to 1200m, A$307,290, STC Starlight S., L, Wellington Boot 2YO S., AJC Balmain Non Bank H., STC Auckland Racing Club Trophy H., International Travel H., 3d STC Concorde S., Gr.3. MASKED - PERFECT PARTNER (H.K.) (Quest for Fame). 9 wins from 1100m to 2000m, A$301,450, HK$10,919,000, M$552,000, STC Winter H., L, Hong Kong Gold Cup, L, 2d Cathay Pacific Hong Kong Mile, Gr.1, 3d Mercedes-Benz Hong Kong Classic Mile, L.
STOCKS (Exceed and Excel). 8 wins from 1300m to 1600m, A$309,750, WATC Farnley S., L, Corporate Membership 16/17 H., It Just Has to be Vert de Grece H., Kingston Town Classic H.